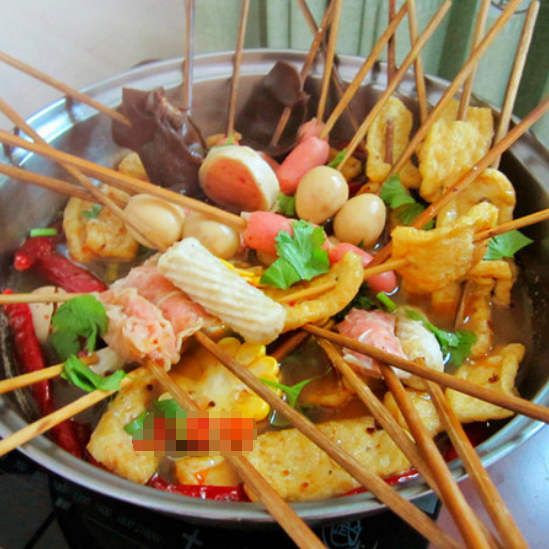 Whether it is street hot or hot pot, can be easily done at home, and the taste is absolutely not bad. My family has no sauce how to do ah!! Never mind, here is to teach you to appear into the bottom of the soup, apply to all vegetables, string skewers. 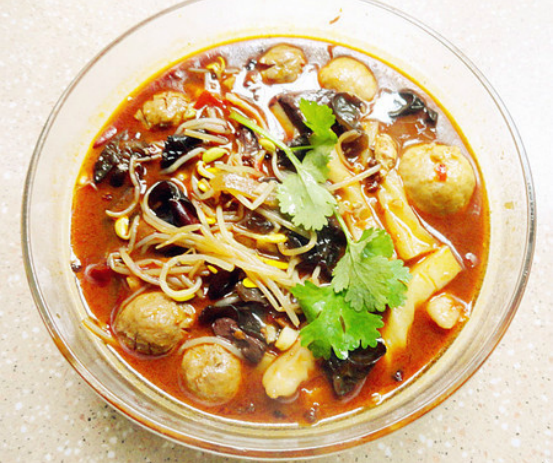 Ingredients: Shrimp dumplings 100g, meatballs 100g, fish balls 100g, frozen tofu 100g, bean sprouts 100g, black fungus 100g, oil amount, salt amount, ginger amount, garlic amount, soy sauce two tablespoons, pepper amount, chili amount. Practice:1) hot pot under the oil 2) ginger, garlic fried incense 3) under the pepper, pepper fried, eat very spicy can add pepper and pepper. 4) plus two tablespoons of hot bean paste fried incense 5) add high soup or boiled water, if the dish can add more soup or water. Practice:1) put oil in the pot, stir fry the fragrant pepper and a small pepper after the fish out discarded, and then peeled and diced tomatoes slowly fry red sauce, put into a bowl of soup, simmer. 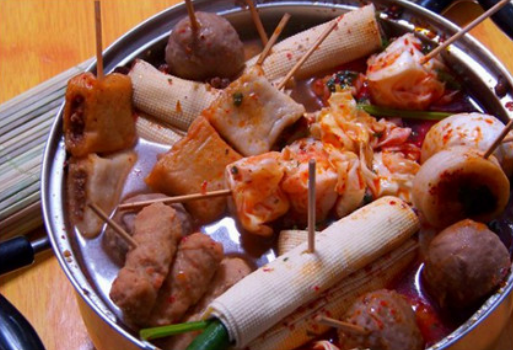 2) put fish balls, meatballs, crispy sausage, crab sticks, kelp slowly cooked, cooked flavor, put fans, soaked potatoes, lettuce, sesame sauce, cooked. Ingredients: tofu 350g, cauliflower 500g, hot dog 250g, sweet jade powder 350g, squid 250g, soup 1000g, oil amount, salt amount, spicy sauce amount, chili oil amount, chicken essence amount. Practice:1) prepared ingredients; 2) prepared ingredients strung with bamboo sticks. 3) soup a basin. 4) spicy sauce appropriate amount. 5) high Tonga salt boil, pour into the spicy juice. 6) seasoning cooking oil, chicken essence boil. 7) respectively into the strand of cooked flavor can be eaten. 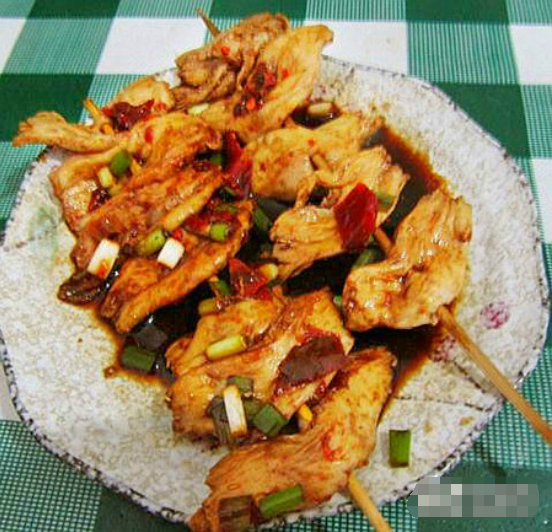 Ingredients: dried soybean skin 50g, soy sauce appropriate amount, bean petal appropriate amount, green onion appropriate amount, sesame oil appropriate amount, pepper appropriate amount, sugar appropriate amount, monosodium glutamate appropriate amount, pepper appropriate amount, chili powder appropriate amount. How to:1) Prepare the ingredients. 2) Prepare the ingredients, cut the spring onion into onion. 3) Key ingredients: bean petal, pepper and pepper powder, and a little chicken essence sugar, not less Oh. 4) Add a little oil in the water, cook the dried bean peel. By the way the bamboo stick is also hot. 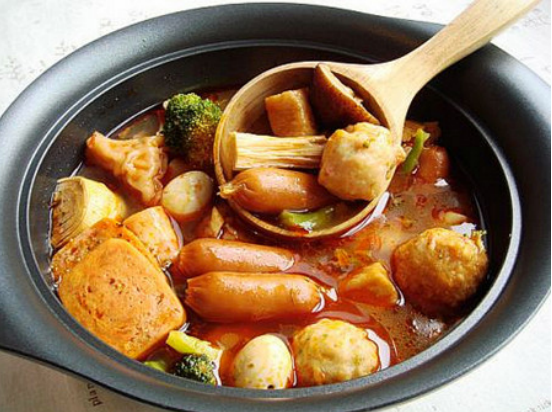 Ingredients: a variety of fish ball meatballs, dried tofu, parsley, ham, mushrooms, lettuce, fungus, spicy hot ingredients. Practice:1) the hot spices add water to boil open, sesame sauce with sesame oil mix open. 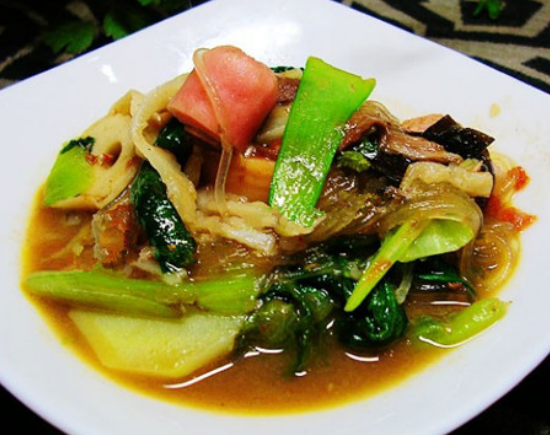 2) all kinds of main material string, soup, like the string into the taught cooked, take out the sticky sesame sauce to eat.